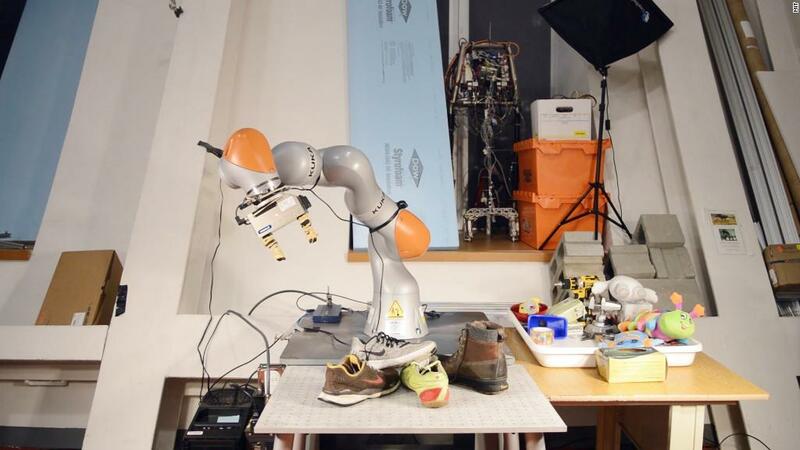 To train the robotic arm, the researchers put groups of similar objects, such as shoes, hats, and mugs, in front of it. The robotic arm moved the products around, examining their features and learning what they had in common. After analyzing different shoes, it learned where the laces should be. The test was done primarily on men's shoes, crowdsourced from staffers at CSAIL's lab. But if they put a stack of the stilettos in front of the robot, Florence believes the robot could develop a good visual representation of the high heels. The research builds on previous advances in computers vision, deep learning and robotics, says Florence. The paper will presented at the Conference on Robot Learning in Switzerland in October.